Supported by a $9-million grant from the National Cancer Institute, a diverse team led by Johns Hopkins researchers has begun looking for new ways to attack one of the scariest traits of this disease: its frequent refusal to stay in one place. The new funding, to be allocated over a five-year period, will enable scholars in physical sciences, engineering, applied mathematics, cancer biology and other disciplines to pool their expertise to solve stubborn cancer-related mysteries. The grant establishes one of the NCI’s 10 new Physical Sciences-Oncology Centers at Johns Hopkins. It includes researchers from the university’s Whiting School of Engineering and its School of Medicine, along with collaborators from the Washington University School of Medicine, the University of Pennsylvania Abramson Cancer Center and the University of Arizona. The new center is based within the Johns Hopkins Institute for NanoBioTechnology. The Johns Hopkins center’s primary goal is to figure out precisely how and why some cells break away from one tumor site and spread the disease to other parts of the body in a process called metastasis. The researchers say the reason to focus on this process is simple: about 90 percent of human cancer deaths are caused by metastasis. The top image depicts a cancer cell crawling atop a flat lab dish in the way cancer cell movement has traditionally been studied. 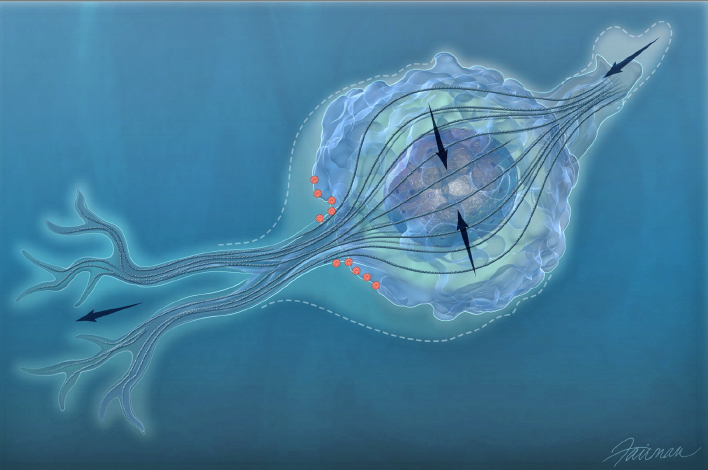 Bottom image shows a cancer cell traveling through a 3D matrix that more closely resembles the environment through which cancer cells move in a human body. 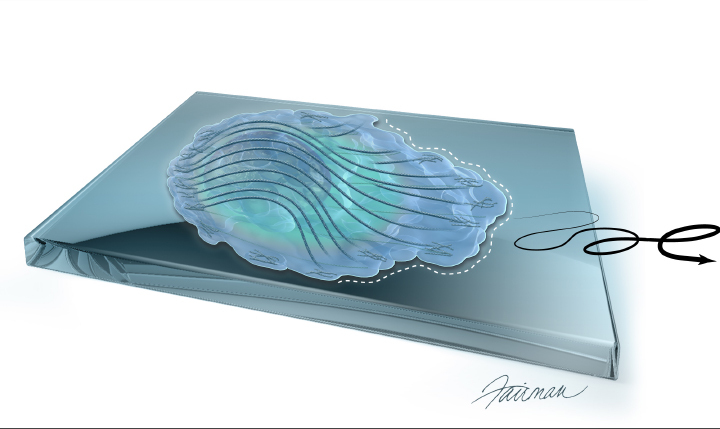 Researchers in the new Johns Hopkins Physical Sciences-Oncology Center will utilize this 3D tracking process. Images by Jennifer E. Fairman, assistant professor in the Johns Hopkins School of Medicine’s Department of Art as Applied to Medicine . research, its T. H. Smoot Professor in the Department of Chemical and Biomolecular Engineering and a member of the Johns Hopkins Kimmel Cancer Center. For instance, the researchers want to identify the physical and/or biochemical cues that cause cancers cells to break away from a tumor in the first place. Then, once the tumor cells receive this “go” signal, the researchers want to find out precisely how these runaway cells escape through a highly confined area of bone and tissue and travel toward nearby blood vessels to hitch a ride to another part of the body. Wirtz previously directed an NCI Physical Sciences-Oncology Center at Johns Hopkins that operated from 2009 through 2014. The 2016 grant from the NCI, which is part of the National Institutes of Health, creates a new center that will build on the discoveries made by the previous research center. It will also participate in the NCI Physical Sciences-Oncology Network. The new Johns Hopkins center’s associate director is Kenneth Pienta, a professor of urology, oncology, and pharmacology and molecular sciences at the Johns Hopkins University School of Medicine and a member of the Kimmel Cancer Center. Currently, Pienta’s research involves studying tumor microenvironments and how they contribute to the formation of tumors and metastasis. 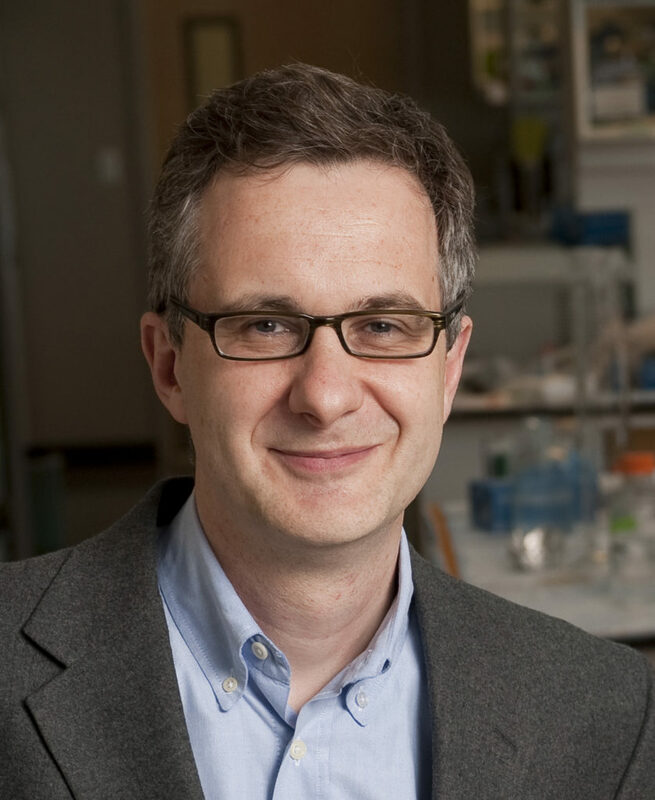 His bench laboratory program focuses on the development of new therapies for prostate cancer. The Role of Physical Cues in Collective Cell Invasion – This project will examine how the physical forces exerted upon cancer cells when they are confined within a tumor can affect the migration of these cells, both collectively and individually. The team is led by Konstantinos Konstantopoulos, chair of the university’s Department of Chemical and Biomolecular Engineering. Forces Involved in Collective Cell Migration – When they break away from a tumor, some cancers cells seem to prefer to travel in groups. This team, led by center director Wirtz, will study the forces involved in organizing the collective migration of breast cancer cells in both 2D and 3D environments. Impact of low oxygen on the migration of sarcoma cells – Low oxygen within a tumor (hypoxia) dramatically increases pulmonary metastasis and results in poor health outcomes. Researchers led by Sharon Gerecht, a professor of chemical and biomolecular engineering, will try to determine how primary tumor cells respond to oxygen in their microenvironment. The goal is to better understand the spread of cancer and identify new treatment targets. Other members of the Johns Hopkins PS-OC center include Andy Ewald and Daniele Gilkes of the School of Medicine, Pei-Hsun Wu and Sean X. Sun of the Whiting School of Engineering, Karin Eisinger and Celeste Simon of the University of Pennsylvania, and Charles Wolgemuth of the University of Arizona. Color images available; contact Phil Sneiderman.